Ever go to an ATM to withdraw cash start walking back to your car? You can feel like you’ve got a target on your head. ATMs are mostly only there to dispense cash. So, when someone sees you at one, they know you’ve got cash money on you. Well, the same holds true for the roof of your home. It doesn’t matter whether caused by one of the 1,200 annual tornadoes in the US, the 5,400 hail storms, or just general disrepair. A damaged roof a giant ATM for those who work roof scams. Some are “legitimate” contractors who simply do terrible work, but many are door-to-door scam artists. Some even travel the country in packs, showing up in the aftermath of a tornado or hurricane or hail storm to take advantage of the unsuspecting. This usually means the elderly, the recent immigrant, or the new homeowner. 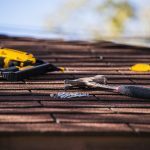 Since getting your roof replaced is not something that happens often, most folks know little the process. It’s those big gaping holes in knowledge that allow these scams to work. work they do: one man in South Carolina bilked five residents out of thousands of dollars apiece. Plus, he did it all in the same neighborhood! 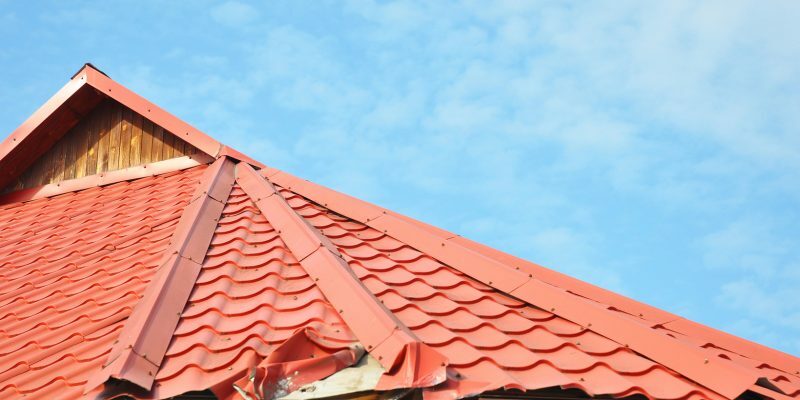 Here are seven tips to make sure that you never get scammed when it comes to roofing repairs. Most roof scams are operated by people who aren’t even roofing contractors at all. Yet, in many cities, registration is all that’s required to be certified as a contractor. In other words, just anybody can call himself a roofer. If the person at your door has an out-of-state license plate, is there with a relative, or offers you a free inspection or really cheap deal, beware. That’s red flag one. Not only one can anyone get certified as a contractor. In many places, anyone can get a logo painted on a truck. Don’t hire a roofer who shows up unannounced at your door. After a bad storm passes, a lot of door-to-door scam artists will attempt to offer you a free inspection. Then, they show you pictures of someone else’s home. Or worse, they may get up there cause damage where there is none. At times, they may even make your existing damage worse! This is to try get as much money out of you as possible. Know exactly what’s wrong with your roof first by taking pictures immediately after the weather clears. Telling them you have pictures already will nip many of these roof scams in the bud. Even if you’ve never had work done on your roof, you probably know better than to just hand cash to a stranger. However, a disturbing of people suckered in by promises of cheap repairs will sign over a check from the insurance company. This usually happens to homeowners who have paid off their mortgage. This is because scammers don’t want mortgage companies or anyone else involved. That first check you get from the insurance company should be used to begin paying a reputable contractor. Then, they will then bill the insurance company for the rest. A lot of high-pressure con artists working roof scams will try tie you into a contract on the spot. They won’t disappear overnight, like the guys who got a hold of your check. But they very possibly could do a subpar job that you’ll have to find yourself replacing sooner than you’d like. if you’ve done the legwork yourself found a reputable contractor who’s come made an assessment, go ahead get started. However, don’t sign anything brought to you by a complete stranger. If someone comes to your door presents you with a deal that seems too good to be true, it probably is. But there’s nothing that says you can’t check up on them get back to them later. If you’re living with a partner or spouse, beware of any roofer who demands that both of you be there during the consultation. That’s another high-pressure gimmick. 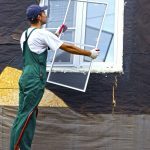 A reputable contractor will have a local street address and local . Check the Better Bureau look around online. Suspicious? Google them! Don’t be afraid to ask questions, either. A lot of disreputable contractors flat-out scam artists will say you need to put a down payment on your roofing work. Never do this. A reputable contractor will give you a detailed estimate, have you sign a contract, then begin. Beware also of contractors who keep changing the of the contract asking for more money for things like materials. Reputable roofers have fluctuations in material prices baked into the cost already. They usually know weeks ahead of time when the market’s going to fluctuate in that way. Finally, if you do sign a contract, by law you have three days in which to back out of it, consequence-free. Roof scam artists won’t tell you that! Roof scams are horrible things. It’s hard to imagine that anyone would consciously prey on disaster victims. But like the ATM, that hole in your roof tells them you have insurance money coming — they want a piece of it. Avoid strangers, high-pressure salesmen, contractors who are hard to find or have no local history. Also avoid anyone who pressures you to sign a contract or offer payment today. 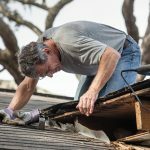 It’s best to avoid unreliable roofers. The only thing you should do today is to start looking for reputable roofers. That way, that when if the worst does happen, you’ll have competent, reliable, trustworthy people on the job. You may already have storm damage not even know it. There’s no reason to get taken when you’re at your most vulnerable. 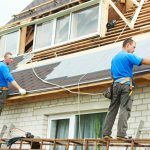 Prepare yourself ahead of time by finding a reputable roofing contractor in your area.That way, when you hear these stories in the local news, you’ll have the peace of mind of knowing you’re ahead of the game.